Many of you are aware that large parts of my website are being translated into many languages. This project was inspired by a transsexual woman from Mexico, Sofía Iglesias, who wrote me from out of nowhere over two years ago. Sofía's e-mail arrived on April 29, 2003. She introduced herself, and not only offered to translate some webpages into Spanish, but also attached a completed translation of the popular TS Women’s Successes page. It was a wonderful surprise. At the time there were many trans information sites in English, but there were far fewer for our Spanish-speaking sisters. Advocates here wondered how we could better reach out to our Latina and Hispanic readers, and Sofía's e-mail was ever so welcome. When we posted Sofía's translation “Mujeres Transexuales de Éxito” in my site, it immediately attracted many readers. More offers of help also came in, and Sofía began working with several other women on further translations. Sofía’s team made rapid progress. As readers around the world noticed the emerging Spanish pages, more volunteers offered to translate pages into other languages, and work began on those translations too. The Translation Project Status Page overviews the progress so far and contains links to all the translated pages. It all started when Sofía sent that initial translation. Her enthusiasm and spirit then helped the project evolve in very productive ways. Many teams are now involved. The scale of the effort is visible in the Status Page spreadsheet, which reflects the tremendous energy the volunteers have put into the work. In one of her e-mails, Sofía happened to include a brief biographical sketch about her life. I’ve inserted her sketch below, in both English and Spanish. Although brief, the writing provides many wonderful insights into her life. 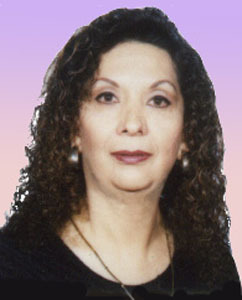 Sofía had endured many difficulties and had suffered many losses when she transitioned. However, she was very fulfilled by her transition, and her suffering didn't leave her bitter in any way. If anything, those difficulties helped Sofía become a truly understanding and compassionate woman – someone who cared very deeply about others. Even while working hard in her new career, struggling to earn money needed to complete her transition, she selflessly spent time helping young Latina transitioners, in person and via the internet, becoming like a mom to many. One dark day in August 2004, I received the news in an e-mail from Mexico: Sofía had died of a heart attack. The news was like a lightning bolt out of a blue sky, so unexpectedly had she been taken. Sadly, death took her at the young age of 46, and at a very hopeful time - just when completion of her transition was finally within her reach. Like many who knew her and loved her, I was heartbroken by this tragic news. There was an immediate outpouring of grief in memorials on Carla Antonelli’s website in Spain. They came in from all across the Spanish-speaking world - reflecting how many girls Sofía had helped and how much she meant to them. By spreading warmth, love and compassion, and by helping others live their dreams, Sofía Iglesias deeply touched many lives. And her spirit continues to touch many lives, through the translations that she left behind and the translation project she inspired - a project that is making information about gender variance available to many people all around the world. We miss you Sofía, we miss you very much. And yet you are here still with us, in our remembrances of you. Muchas de ustedes están enteradas que gran parte de mi sitio ha sido traducido a diferentes idiomas. Este proyecto fue inspirado por una mujer transexual de México, Sofía Iglesias, quien me escribió sorprendentemente de la nada, hace más de dos años. El mensaje de Sofía llegó el 29 de abril de 2003. Se introdujo conmigo, y no solo se ofreció a traducir algunas páginas al español, si no que adjunto me envió la traducción completa de la popular página "TS Women’s Successes". Fue una sorpresa maravillosa. En ese tiempo había muchos sitios de información trans en inglés, pero había muy pocos en español para nuestras hermanas de habla hispana. Muchas aquí pensábamos cómo podríamos comunicar mejor con nuestras lectoras latinas e hispanas, así que el mensaje de Sofía fue muy bien recibido. Cuando publicamos la traducción de Sofía "Mujeres transexuales de Éxito" inmediatamente atrajo muchos lectores. Más propuestas de ayuda comenzaron a llegar y Sofía comenzó a trabajar con algunas otras mujeres en futuras traducciones. El equipo de Sofía logró progresar rápidamente. Conforme los lectores de varios otros países notaron las páginas que surgían en español, más voluntarias se ofrecieron a traducir páginas a otros idiomas, y el trabajo comenzó en aquellas traducciones también. La Página de Del Estado del Proyecto de Traducción es una visión general del progreso hasta ahora y contiene enlaces a todas las páginas traducidas. Todo se inició cuando Sofía envió aquella traducción inicial. Su espíritu y entusiasmo entonces ayudaron a que el proyecto evolucionara de muchas maneras productivas. Muchos equipos ahora están involucrados. La escala del esfuerzo es visible en la Página del Estado, un despliegue de todas las páginas, que refleja la tremenda energía que los voluntarios han puesto en el trabajo. En uno de sus correos electrónicos, Sofía incluyó un breve esbozo biográfico de su vida. He agregado su esbozo debajo en inglés y en español. Aunque breve, el escrito provee varias intuiciones maravillosas acerca de su vida. Sofía aguantó muchas dificultades y sufrió muchas pérdidas cuando estaba en transición. Sin embargo, ella estaba muy satisfecha de su transición y su sufrimiento no la levó a la amargura de ninguna manera. Al contrario, aquellas dificultades ayudaron a Sofía a convertirse verdaderamente en una mujer comprensiva y compasiva - que se preocupaba muy en lo profundo por los demás. Aunque trabajaba arduamente en su nueva carrera, batallando para ganar el dinero necesario para terminar su transición, ella desinteresadamente dedicaba su tiempo ayudando a jóvenes latinas en transición, en persona y por Internet, convirtiéndose en una mamá para muchas. Y de repente ella se fue. Un día oscuro en agosto de 2004, yo recibí la noticia en un correo electrónico de México: Sofía había muerto de un ataque al corazón. La noticia fue como un relámpago estremecedor que salió de un cielo azul, tan inesperadamente que fue llevada. Tristemente, la muerte se la llevó a la edad joven de 46 años, y en un tiempo muy esperanzador - justo cuando la consumación de su transición finalmente estaba a su alcance. Como muchas que la conocieron y la amaron, yo también estaba desgarrada y con el corazón partido con esta trágica noticia. Hubo un torrente inmediato de pena en memorias en el sitio de Carla Antonelli en España. Llegaron desde todo el mundo de habla-hispana - reflejando cuantas chicas había ayudado Sofía y cuánto ella significaba para todas ellas. Esparciendo calor, amor y compasión, y ayudando a otras a vivir sus sueños, Sofía Iglesias tocó profundamente muchas vidas. Y su espíritu continúa tocando muchas más, a través de las traducciones que dejó atrás y el proyecto de traducción que ella inspiró - un proyecto que les está haciendo disponible información de la variación de género a muchas personas alrededor del mundo. Te extrañamos Sofía, te extrañamos muchísimo. Y aún estás aquí con nosotras, en nuestros recuerdos de ti. I was born in a middle class family in Mexico City. My mother and father had an artistic background but they were forced into standard jobs because their precarious situation wouldn’t allow them to raise me with some degree of comfort. So, they became a regular family: employee, housewife and a newborn son, me. Pretty soon; at about five, I discovered two things, first; I was different, and second; If I wanted to stay with my family and keep my parents love, I had to observe a “good behavior” I had to do exactly what they where expecting from me. Later on I learned much more about me and those “funny feelings” When I became a teenager I discovered all the sexual diversity recognized by the Mexican society at that time, but sadly I also discovered that none of them was me. I wanted to be a girl, but I was not Gay or lesbian or bisexual or transvestite, what was I then? In the other hand the social pressure was immense and I was terrified ! to death that any one found out my real thoughts. So I decided to behave and reach for a “normal” life. In my twenties I discovered the Jan Morris book “Conundrum” and a whole different landscape began to crystallize for me. By that time, I was been drifting among many occupations, I start studying Psychology but quitted when was about to finish (that was a stupid move), I did got a technical degree in restoring art works, but abandon that too. Nevertheless my true love was music, I began to play in my teens and got into serious studies in my twenties, as a matter of fact I gave up everything to embrace music, it was my big catharsis, and for many years it scared off the phantom of my true self, and gave me a reason to live and avoid suicide. I became very proficient, as a performer and a teacher, and I turn into a well-known character in my milieu. My most treasured dream was to devote to classical music, but I started too old, so I turned onto popular music. In the other hand the need to be cared and loved, leaded me to marriage, and marriage to a little daughter. There I was with a family a position and a future, but I was a deeply unhappy person. The very day I married, I just knew what was I, and what I have to do, but I feel responsible for my partner and didn’t want to abandon her at her luck, when my little daughter came the feeling was worst, so I decided to sacrifice for the sake of my family. Later, I realized that this was a totally wrong decision. It was very simple, if I couldn’t function as a man, how can I expect to keep a family? And worst, as I couldn’t respond properly, they felt terrible insecure and even got seriously ill, I was damaging them. Finally I revealed everything to mi wife, she took it very badly (which is very comprehensible given the circumstances) and decided to leave taking our daughter with her, some months later we got divorced. My ex-wife and her family kept me away from the child under the threaten of a public scandal an legal prosecution, that was not important to me but I wanted my child to be safe and not exposed her to humiliation and traumas, so I had to let them go. I had to move to a very small place, and only took with me a few clothes, books and recorded music; everything else was left for my now ex- family. By that time I worked as a teacher in a music school and as record producer, but the feeling that I had failed in my life was worst than ever. I had been seeking professional help since my twenties, but the “specialist” always tried to convince me to adapt to a “gay style of life” at most. The chance for a transition was not even considered, that was a wacky doctor’s thing for them. I was going down, really deep. After an unsuccessful suicide attempt, and when I was at the lowest point possible, I found the man who saved my life. Dr. Eusebio Rubio was this man, with a background in psychiatry and sexology, and a staff member of the Harry Benjamin’s, he was well equipped to deal with me. I was very lucky, you can count with one hand finger’s the doctors in Mexico who are prepared for such things. After that, it was a long way. First I had to get ride of the neurosis and depression generated in all the past years, and slowly get into my new path. My story is no different from many others TS women all over the world and especially in the third world. Now I have a regular job, a compartmented life with stealth and out circles. I’m still struggling with the money for my SRS, yes, I‘m in my late forties and haven’t done it yet, I have been living a RLE for more than 10 years! I don’t know if this is a RLE anymore, anyway, I am getting closer to what I want and hope this will be “the year”. This last years had been wonderful and the best is yet to come! This is a very brief sketch of my life and there are many things untold. It is very hard for me writing this and try to keep it real small, but I wanted to share with you so you could know me a little better. Some day maybe I‘ll write a full story. Nací el hijo de una familia de la clase media de la capital mexicana. Mis padres tenían antecedentes artísticos pero debido a una precaria situación económica, se veían obligados a trabajar fuera de ese ámbito para cuidar de la familia con cierto grado de comodidad. Así se convirtieron en una familia típica: un empleado, una ama de casa y un hijo recién nacido--yo. Bien pronto, cuando tenía cinco años, descubrí dos cosas: primero, que yo era diferente de los demás, y segundo, si quería ser una parte de la familia y recibir el amor de mis padres, tendría que comportarme exactamente de la manera que esperaban. Más tarde supe mucho más acerca de mí, y de aquellos "sentimientos raros." Cuando llegué a ser un adolescente, descubrí todas las formas de diversidad sexual que la sociedad mexicana reconocía en la época, pero me entristecí al darme cuenta que no encuadré en ninguna de ellas. Quería ser una chica, pero yo no era gay ni lesbiana ni bisexual ni travesti, así pues, ¿Qué era yo? La presión social era intensa, y sentía un terror mortal que alguien se enterara de mis pensamientos verdaderos. Por lo tanto decidí conformarme y tratar de construir una vida "normal." En mis veinte, tropecé con el libro Conundrum, por Jan Morris, y de repente amaneció otro mundo de posibilidades. En esa época yo cambiaba de profesiones sin rumbo. Matriculé en psicología pero salí de la facultad un poco antes de graduarme--una decisión tonta. Recibí un título técnico en la conservación de obras de arte, pero eso también abandoné. Resultó finalmente que mi profesión de corazón era la música. Había comenzado a tocar como adolescente y entré en estudios serios en mis veinte. La verdad es que dejé todo al lado para sumergirme en la música, y esto para mí era tan catártico que durante muchos años me permitió ahuyentar el fantasma de mi verdadero ser y me dio ánimo suficiente para no suicidarme. Me hice diestro, como maestro y ejecutante, y llegué a ser un personaje bien conocido en mi campo musical. Mi sueño más grande era dedicarme a la música clásica, pero había comenzado demasiado tarde, así que me convertí en músico popular. Al mismo tiempo, sentía la necesidad de amor en mi vida, y eso me condujo a casarme, y más tarde nació una hija. Pues allí me encontré, con una familia, una profesión y un futuro, pero a pesar de todo una persona profundamente infeliz. Justamente en el día de bodas me di cuenta de lo que era yo y de lo que tendría que hacer, pero tuve que responsabilizarme por mi esposa--no podía abandonarla a la suerte. La angustia peor surgió en mí con la llegada de mi hija, pero me decidí sacrificarme por el amor de mi familia. Más tarde me di cuenta que había equivocado por completo. Realmente era muy sencillo--sin poder funcionar como un hombre, ¿cómo podía esperar tener una familia? Y todavía peor, ya que no podía hacer mi papel adecuadamente, mi esposa e hija se sentían inseguras e incluso se ponían gravemente enfermas--yo las dañaba. Por fin confesé todo a mi esposa y ella reaccionó muy mal, lo que era bien comprensible visto la situación. Luego ella se decidió salir, llevándose consigo nuestra hija, y después de unos meses nos divorciamos. Mi ex esposa y su familia insistieron que yo no viera a la hija, y me amenazaron con un escándalo y procesos legales, cosas que no me importaban mucho, pero por cuanto que no quería que mi hija fuera expuesta a humillaciones o angustia, tuve que aceptar la pérdida amarga de ella. Tuve que moverme a un alojamiento pequeñito y sólo llevé conmigo un poco de ropa, unos libros y música grabada; todo el resto dejé para mi ex familia. En esa época trabajaba como maestro en una escuela de música y también como empresario de música, pero con todo, creía más que nunca que había fracasado en la vida. Había buscado consejos psicológicos desde que tenía veinte y tantos años, pero todos los "especialistas" siempre trataban de convencerme a adoptar, a lo más, un estilo de vida gay. De ningún modo admitían la posibilidad de una transición de género--en esa época eso era una idea exquisita de algún médico loco. Yo continuaba bajándome, muy gravemente. Después de una tentativa fracasada al suicidio, y al estar al punto más bajo posible, encontré el hombre que me salvó la vida. Este hombre se llama Dr. Eusebio Rubio, tenía formación en psicología y sexología, era socio del grupo Harry Benjamin y así era bien equipado a ayudarme. Era mi gran suerte encontrarlo, porque es minúsculo el número de médicos de México que tiene conocimiento de estos asuntos. Desde nuestro encuentro, yo todavía enfrentaba un camino largo. Al comienzo tenía que quitarme a las neurosis y la depresión que sufría durante tantos años, y orientarme poco a poco en una nueva vida. Mi historia no es muy distinta de la de mujeres transexuales alrededor del mundo, especialmente del tercer mundo. Ahora tengo empleo normal y una vida social dividida entre ellos que saben de mi pasado y ellos que no saben. Todavía lucho para juntar el dinero para la CRS--sí tengo más de cuarenta y cinco años y no la he podido hacer--en efecto ¡he vivido "la prueba de la vida real" por más de diez años! No sé si se puede más llamar mi vida una prueba, pero de todos modos estoy acercándome a lo que quiero y espero que "¡este sea el año!" Los últimos años han sido maravillosos y preveo que ¡lo mejor está para llegar! Esto es sólo un esbozo muy breve de mi vida y hay muchas cosas que no te conté. Me cuesta trabajo escribir esto de modo que quede conciso, pero quería compartirlo contigo para que nos conozcamos mejor. Tal vez algún día escribiré una historia más completa. My name is Sofía Iglesias and I’m a transsexual woman. I was born in Mexico City and had spent most of my life there. I live in stealth mode, have a regular job, friends, etc. and very few know “all” about me. I’m in my forties now and thanks god I have my family’s support and affect. I was very impressed by your objective and human website, mostly by the TS success section, as I have many non-English speaking TS/TG friends I decided to make a translation for them. I’m attaching a word file with the translation for your approval; perhaps you can find it useful for yourself. I also wanted to ask for your permission for translate fragments of the other sections of your website, quoting the author, of course, and to put them on line on a Mexican GLBT site, it would be a great help for many Mexican TS/TG girls. Here is a sample of my work where I discuss the Renee Richards latest comments in my "El Arrepentimiento de Renee" http://www.saldelcloset.com/secciones/defondo/arrepentimiento.shtml article. The website is just beginning and it’s kind of thin now, but this guys are making and effort and over all they are trying to present a positive image of the TS/TG women. I am thrilled to hear from you! What a wonderful surprise! I would love to collaborate with you on making my writings available in the Spanish speaking world. I will soon add your translation of the successes page text into my website - and look forward very much to collaborating on further translations. Your work looks outstanding - so let's do it! One thing you might consider is how to prioritize which pages to do next as you go along. One thought that occurs to me is to use my hit counters to notice the pages that (i) are often accessed, and (ii) are useful information for those planning transitions. Thus I suggest that the SRS page may be important, and also the FFS page so that girls know that these surgeries are very advanced now, and that there is hope for them to become complete as women if that is what they need to do. Also, the growing expertise in SRS in Thailand that costs on the order of $6000 US is gradually bringing SRS within the reach of more and more girls who need it. So - let's do begin collaborating. Feel free to post any pages that you translate, and in time I will point people to your translations on your site too. And you could post on your site that you are officially translating for me - and I could then point to your site and say that you are doing that. This way we could both work together to help the very many Latina and Hispanic girls here in the U.S. too. I am looking forward eagerly to collaborating with you. Meantime, take care - and have fun! PS: One important question for you: Would you like me to include your name and e-mail address as translator? If I did that, you might be able to help Latina and Hispanic girls here who could e-mail you with questions about what my other pages are saying, etc. Also - is Travesti Mexico your website or a group one - i.e., would that be a good website to link to for you, or do you have a separate one of your own? When I post your translation and your name, I could also link to whatever website you would like me too, such as "http://www.saldelcloset.com/"
1) Yes, I think that all the information about the SRS and the FFS are very relevant too. And I will start to work on them. Nevertheless, I think that Latin America’s girls have a strong need to be informed about Gender Identity and the substantial differences between TS/TG/CD etc. Have you been down here? Believe it or not, talking about that subject, we are perhaps like the USA was 30 to 40 years ago. There is so much stress between groups and even inside groups because of this. But it’s inside people’s head where the biggest conflict is; these Girls need to know who they are and stop to imitate wrong role models. So I will start translating about this too. 2) You can use my real Name “Sofía Iglesias” I don’t think this will cause me a major trouble right now, you can also include this mail address, I’ll be glad to answer any question. 3) For me the best choice right now it’s SAL DEL CLOSET (Out of the Closet) it embraces a wider spectrum of people and they guys who run the place are very open. I’m planning to propose them to create a special section devoted to TS with a strong emphasis in your texts. I know that a special web site dedicated to TS would be better but for the moment it does not exist in Mexico. I have further plans for this, I’ll tell you later. I will send you in my next mail a brief sketch of my life, so you can get to know me a little better. But in the meantime I can tell you that my work won’t advance as fast as I would like to because I don’t have a PC at home and I steal time from my job to do it. Anyway, it will be done. I also wanted to thank you for the warm an enthusiastic welcome you gave me, I really wasn’t prepare for that, thanks again. You can count me among your friends. Take care, and don’t hesitate in contact me if have any doubt or question. I’ll keep in touch.